Halloween is fast approaching, and though the holiday is more firmly rooted in American culture than Australian, the spooky celebration is certainly catching on. In honour of the occasion, we’ve rounded up the best scare stories from around our very own city – Brisbane is spookier than you might think! Captain Patrick Logan was first sent to the Moreton Bay area in the 1820s to command the unruly settlement there. By all accounts, he was extremely proficient at his job, transforming his dismal outpost into an efficient and well-organised colony. While this may all sound well and good, Logan had particularly brutal methods of ‘keeping the peace’ and ruled with an iron fist over the convicts and Indigenous Australians who were unfortunate enough to live in his colony. Misconduct among the prisoners resulted in a 300-lash whipping, with most victims reported to have died strapped to the flogging frame. 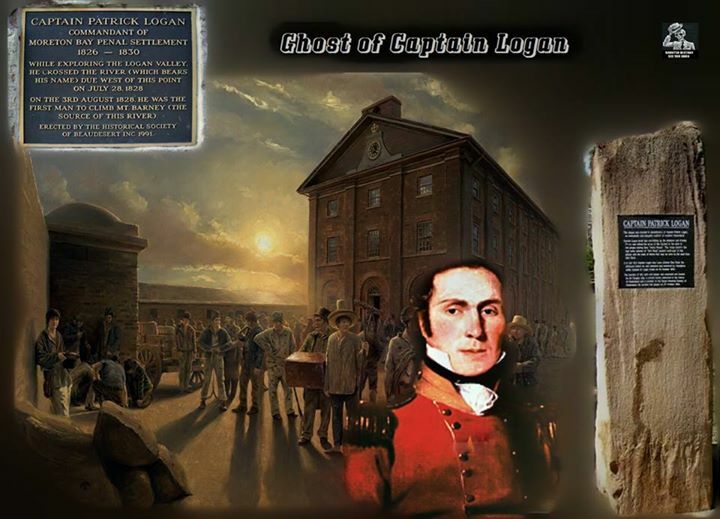 While out one night on an expedition around what is now known as Ipswich, Captain Logan was killed either by convicts, Aborigines or (as the spookier story goes) the ghost of one of his whipping victims. It’s been said that Captain Logan now wanders the banks of Brisbane River in Ipswich, searching for whoever killed him that night. While reported to be quite lovely during the day, stories of Goodna’s Cemetery on Stuart Street would lend a different impression of the site. Used as the burial ground for deceased inhabitants of Woogaroo Asylum, creepy tales have emerged involving the ghosts of the criminally insane whose bodies lie beneath the pristine lawns. 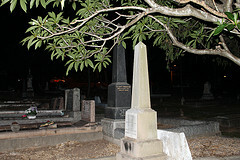 Night-time visitors to the cemetery have been known to leave with scratches and bruises all over their bodies. One story features a man who tried to escape the ghosts in his car, but found that his car wouldn’t move despite the running engine. When dawn arrived, and the man was able to get out of the car, he found deep scratches down the sides of the vehicle, as though something had been holding it in place the night before. Don’t believe us? Ghost hunters suggest covering your car in flour before a night-time visit; check the flour when you get home and see that it will be covered with fingerprints! Since the 1950s, employees and visitors to Brisbane’s City Hall have been heard tell of disembodied footsteps in the hallways and a ‘sinister energy’ enveloping the third floor. In the 1940s, a caretaker is believed to have committed suicide there, and is apparently not quite ready to move on from the old building. Located at the top of a hill in Toowong, ‘Spook Hill’ Cemetery features a strange and inexplicable power. Curious Brisbanites who have parked their cars in neutral on the sloping road leading to the cemetery have found their cars rolling up the hill instead of downwards as gravity would dictate. Legend has it that two sisters killed in a car accident are buried at the top of the hill, and are intent on dragging cars up the hill to murder all inside. ← The G20 – What Is It, What Does It Do and How Will It Affect Me?